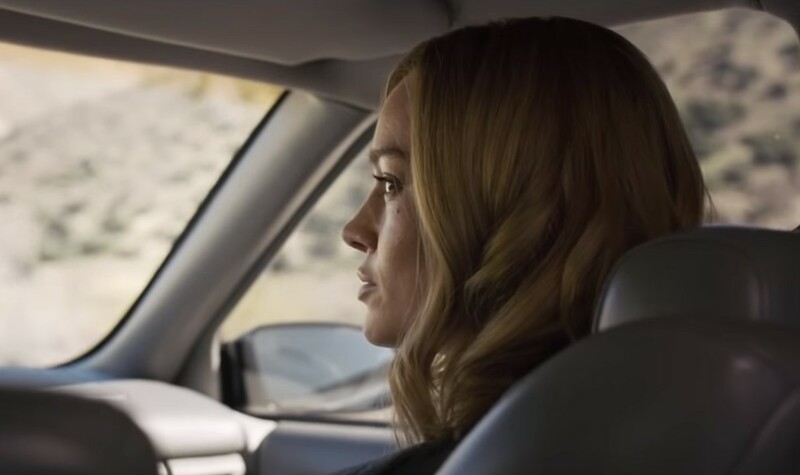 Monday saw the new Captain Marvel trailer drop, which included new footage and hints about the plot. Let's go over some of the scenes that were featured, so be forewarned: SPOILER WARNING. Notice the trailer immediately starts off with the old lady on the bus scene? Following the first Captain Marvel trailer there was actually some online chatter about a Marvel superhero punching an old lady in the face (really, people?). 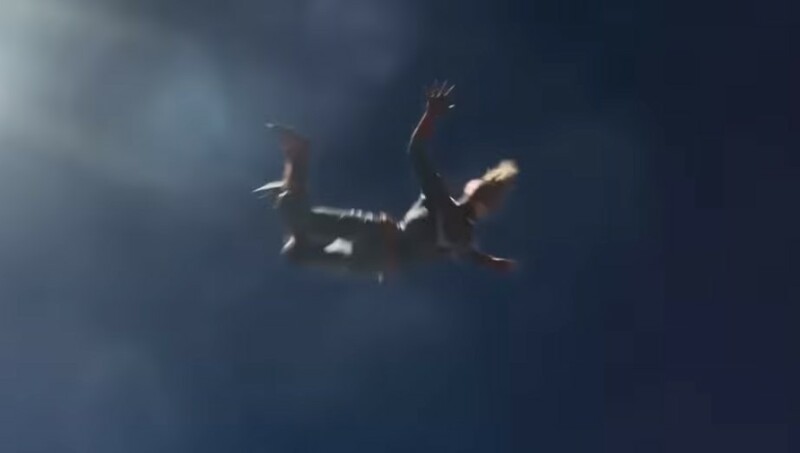 If the first trailer didn't make it clear, the old lady is a darn and dirty shapeshifting Skrull! 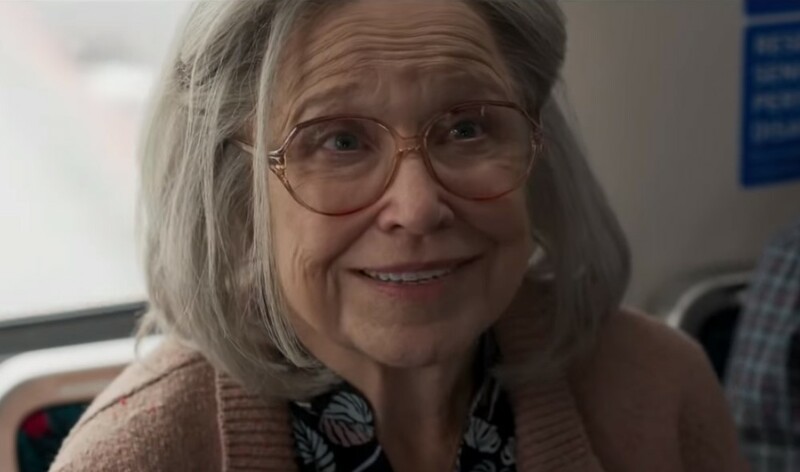 So we see Marvel Studios is telling the clueless "general" fans, that yes, the old lady isn't what she seems as she gets punched in the face to no effect and then growls. The next scene offers a pretty big revelation as Nick Fury - as does Carol Danvers - thinks she is an alien Kree. We'll talk more about that in upcoming scenes. More revelations about how Carol Danvers became a Kree, as it's said: "we've found you." It seems in this version of her origin story (more on that later, too), the Kree "find" Carol Danvers and augment her somehow to make her half-Kree half-Human. We see this as her blood is green and not red. 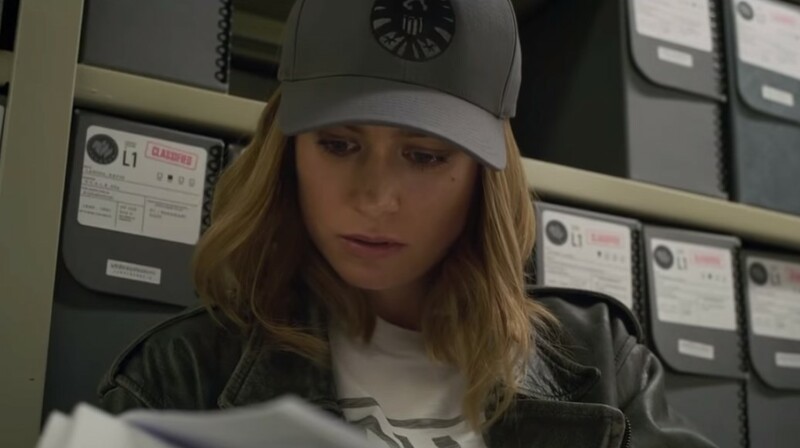 It's also possible that Carol is kidnapped by the Skrulls, but found by the Kree in space (or somewhere else), as it is mentioned she has no memories. Now does Carol have no memories because the Kree wiped her memory? Or because of the Skrulls (or something else?)? The trailer then goes on to make it look like it was the Kree who brainwashed her, and then she gets flashbacks to her human days. It's possible what actually could be going on in this scene is that SHIELD is trying to jar her memories. Of course, she could be captured by the Skrulls here as well. Regarding why Carol comes to Earth, it seems as if the Kree are tracking down the Skrulls. 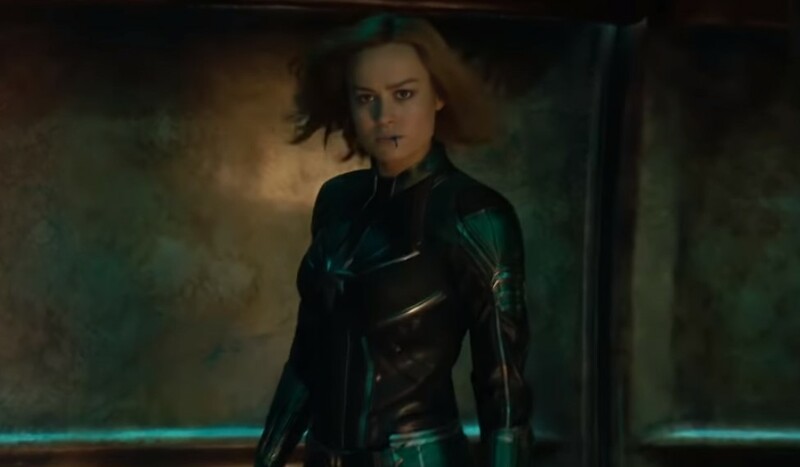 So it seems as if something happens to Carol as a human, the Kree find her minus her memories and make her a Kree warrior and a part of the Starforce military unit, and then they go to Earth in search of the Skrulls, which then sees Carol start to remember being a human. The question remains: Have the Skrulls been here all along? Is this a Skrull (secret) invasion? Or is this just a small bunch of Skrulls who are hiding out on Earth avoiding the Kree Skrull war? Or did they crashland on Earth and are now in hiding? Obvious question: Are the Skrulls still here?? Worth a mention is that anyone in the movie at any time could be a darn and dirty Skrull. 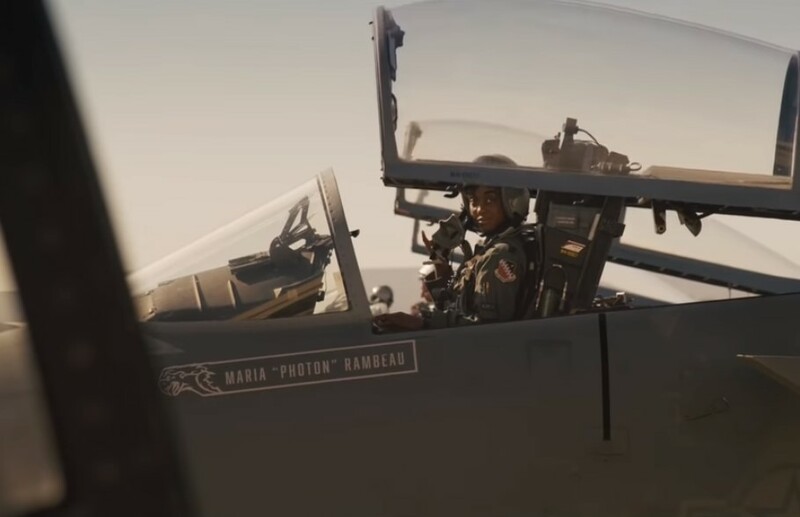 Maria "Photon" Rambeau is the daughter of Monica Rambeau in the comics, who has taken on the Captain Marvel mantle as well. Cool nod. Carol mentions something in her past is the key to all of this. Now is "all this" her realizing she is not a Kree and that she is human? Is it that simple? More green blood from Carol Danvers as it seems she is slowly learning that she is not really a Kree, but a human. However is there more to the story than meets the eye? Maybe the "all this" is what happened to her and her memories before the Kree found her? Could it be possible something else or someone else is involved behind the scenes? Does it tie into Avengers 4? 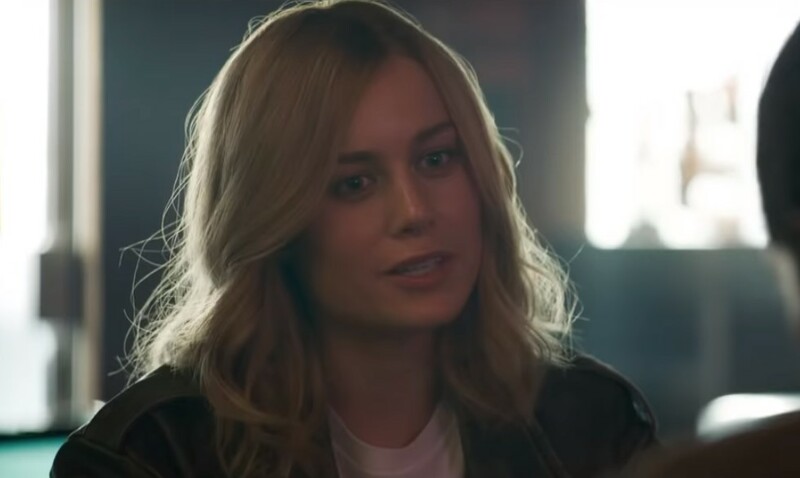 The trailer then continues making it out that it seems as if that is exactly what is going on, that "all of this" is Carol simply finding her real identity. Marvel isn't usually this predictable or forthcoming with their trailers, so it could be possible they are trying to steer us in the wrong direction. In this scene, Nick Fury seems to have taken Carol to some sort of SHIELD archive where he shows her she is human and had "a life here." Talos, the Skrull leader, seems to be stating that to Carol as well, as he tells her, "Wouldn't you like to know what you really are?" However, the question remains, is Talos talking about Carol really being a human? Or something else?? 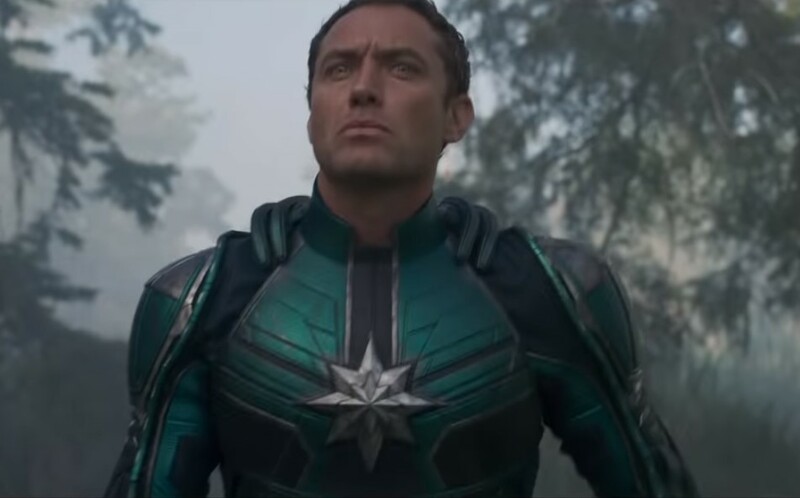 It was thought he was playing Mar-vell, but a leaked Funko figure actually reveals he is playing a different Kree, Yon-Rogg, who feuded with Mar-vell and was responsible for Carol getting her Ms. Marvel powers in the comics. It seems, IMO, that the movie is ditching the Mar-vell part of the origin and basically combining the Yon-Rogg and Mar-vell characters and storyline into one (meaning no Mar-Vell in the movie). I'm not too happy about it, as it's more of Feige dumbing down Marvel Cosmic for the "mom and pop" general MCU audience (ditto for Guardians of the Galaxy and Thor: Ragnarok). Now we get footage of Carol in her red and blue suit. Where did she get it from? Possibly SHIELD gives it to her as the footage continues with mention that she is going to stop the Kree Skrull war herself. 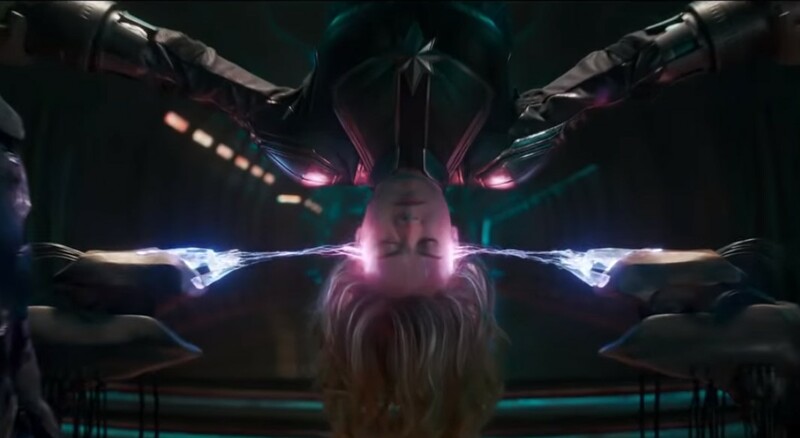 This more or less seems as if Carol is "awakened" and realizes she has been manipulated by the Kree (and probably the Skrulls at the same time). She is now sided with SHIELD to rid the Earth of both the alien scum! Carol says, "I'm not going to fight your war, I'm going to end it." Who is she talking to? Possibly Talos? Or Jude Law? Or maybe even Fury, as possibly SHIELD is involved somehow and has taken the side of the Kree? Perhaps there is some sort of intergalactic treaty and that the Earth is simply not just caught in the middle? 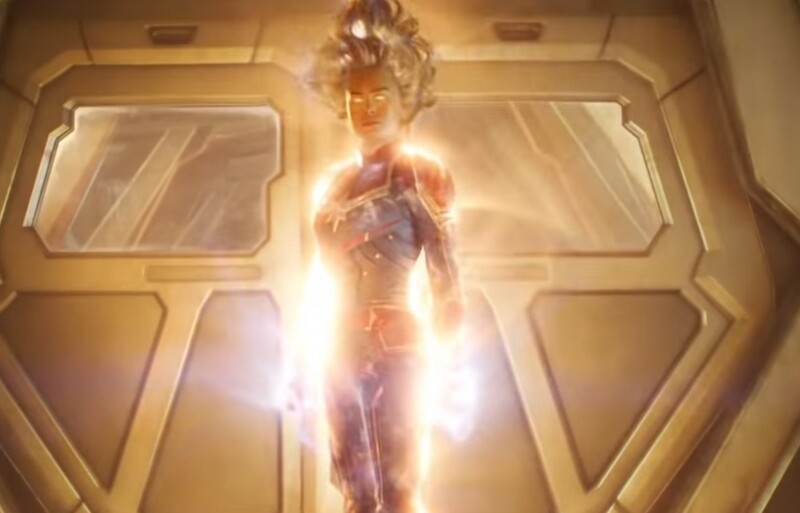 Now we get super cool footage of Carol fully powered up. 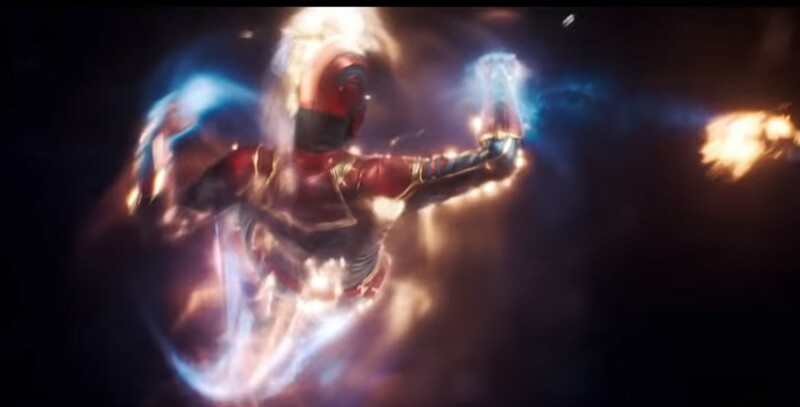 I think the special effects look pretty awesome. In the comics, Ms. Marvel isn't this OP and definitely not capable of taking on Thanos, which is speculated for Avengers 4. Kevin Feige has already said Captain Marvel is the most powerful MCU hero, which again, is nothing like the comics. Is she more powerful than Doctor Strange? The Hulk? Really, Feige?? Also is this her normal power set in the movie or does something else happen and trigger her "Binary" powers. (Binary is Carol's codename in the comics when she has cosmic powers). During our live chat on Monday it was brought up that Captain Marvel's power set looks a lot like Richard Rider Nova. I have to agree. If you are familiar with Nova, the Human Rocket, when he blasts off and flies, his legs are engulfed by energy, and he also shoots energy blasts. The footage shown here looks a lot like Nova. This actually got me thinking, and it's not a good thought (lol), what if The Avengers 4 is "The Avengers: Annihilation," and instead of using Nova, they are replacing Nova with Captain Marvel? What if Annihilus invades and instead of Nova, in the MCU, Captain Marvel stops the invasion? Blue Blazes! 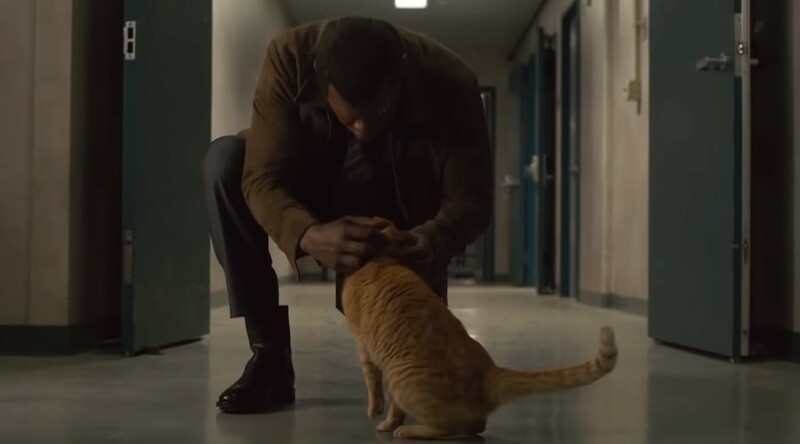 The trailer offers a look at Carol Danvers' alien cat in the MCU who has its name changed to Goose for whatever reason. In the comics, Carol names it Chewy after Chewbacca from Star Wars. I suppose Feige and the MCU might have changed it because they don't want it connected to the disaster that Disney has done with Star Wars and The Last Jedi, which makes sense, right (wink!)?! Goose is thought to be a nod to Top Gun as Carol is also an air force pilot. 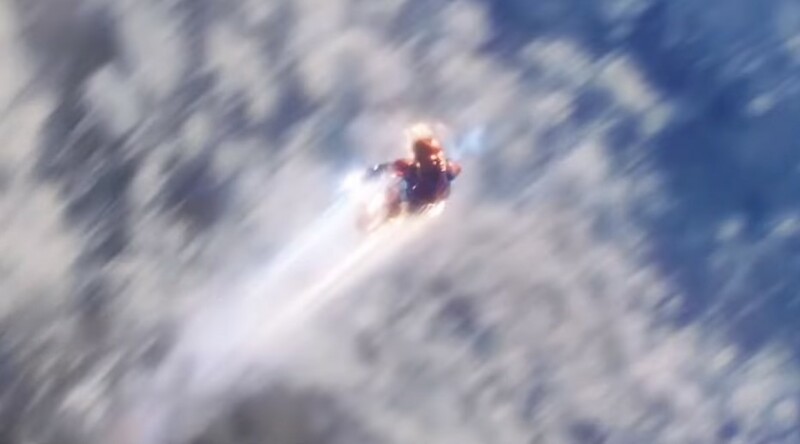 The trailer ends with one last shot of Captain Marvel -- the human rocket. Doh! I'll say I thought this trailer was pretty sweet. 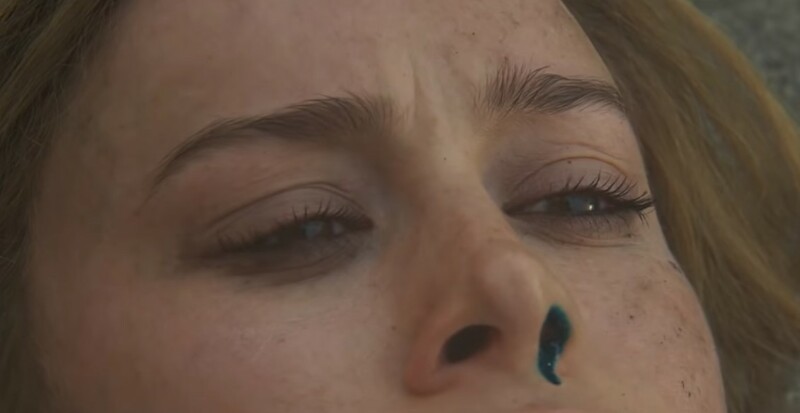 I'll also add what I have said before, I hope this is not Rey from Disney Star Wars all over again.